A realistic stag stands in a forest gazing around. 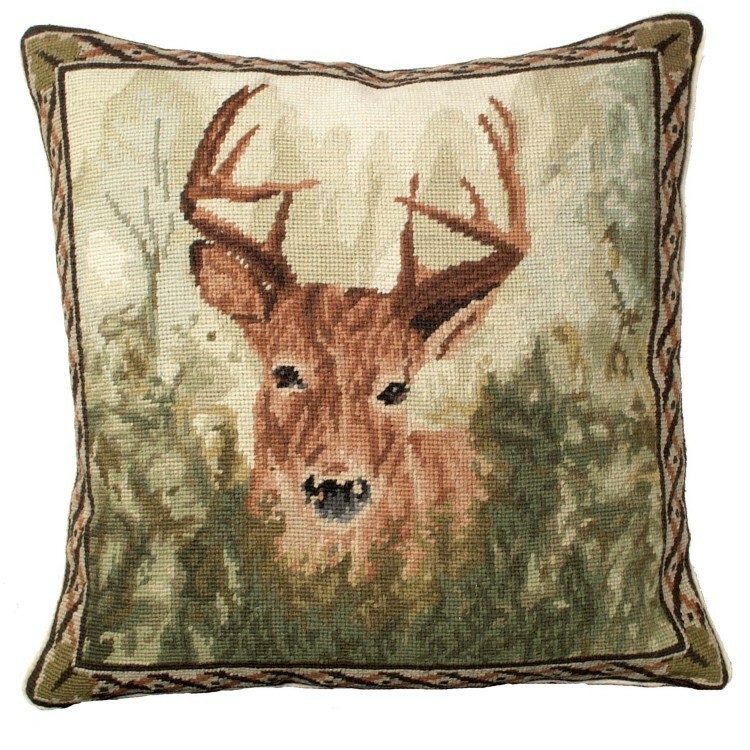 The detail in this pillow is amazing! 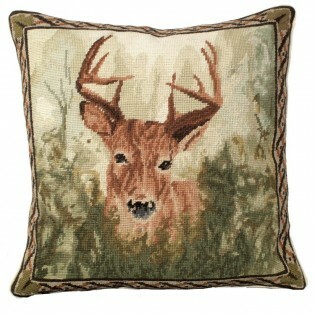 Bordered in a criss cross pattern to draw the eye in to the stag. Created in deep rich colors in shades of green and brown.